What is Non-Violent Communication (NVC) Therapy? Nonviolent Communication (NVC) is a methodology pioneered by Marshall Rosenberg. NVC is used to help people understand and connect with themselves and with others. It is also called Compassionate Communication in that it fosters a compassionate perspective toward our own actions and the actions of others. Our Profiled Expert, Ali Miller, MFT, is an expert in NVC. We caught up with her and she gave us an in-depth look at the NVC process. Ali, will you explain what NVC is? All humans have the same universal needs. Everything we do or say is an attempt to meet needs. Everybody's needs matter. When we look at our own and other people's behavior through the lens of these principles, and truly understand that we're all always simply trying to meet needs, blame and other kinds of violence decrease exponentially. Knowing these distinctions supports people in expressing themselves without blaming, demanding, or judging, which increases the likelihood of connecting. At the same time, through NVC we learn to listen to the feelings and needs alive in the person we're listening to, even if they are blaming, demanding, or judging, which also fosters connection. For example, someone might say, "The service at this restaurant is terrible." NVC helps us recognize that beneath this judgment ("terrible") there are feelings and needs. We can get curious about the feelings and needs of the person holding that judgment. For instance, has this person been waiting for their food to arrive for longer than they expected and are they feeling really hungry and really wanting to eat? Another example could be, "I'm so lazy." What might I be feeling and needing if I am judging myself as lazy? Perhaps I'm feeling worried and really wanting more energy? Or maybe I'm feeling stressed because I want to trust that I have the capacity to complete all the tasks on my to-do list. Getting curious about the feelings and needs is the heart of empathy in NVC. When we start to relate to ourselves and others in this way, our judgments of ourselves and others transform and we are left more connected to our own feelings and needs and the feelings and needs of others. Then we can make requests in service of meeting our needs or contributing to the needs of others. NVC is used in a wide variety of settings, such as mediating conflicts between countries, spouses, and coworkers, as well as in healthcare settings, schools, prisons, and corporations. It is also used in the therapeutic setting in various ways, such as facilitating self-compassion. When a therapist understands that all actions are attempts to meet needs, she can support her client in understanding his own behavior through guessing at what needs he is trying to meet by engaging in a certain behavior. Similarly, if a client is feeling torn or ambivalent and struggling with a decision, NVC can be used to help mediate between the different inner parts of the client. Because NVC is constantly reminding us of our shared humanity, it is a process that facilitates deep healing on the individual, couple, family, group, national, and global scale. Ali, why did you choose to practice NVC? I read Marshall Rosenberg's book, Nonviolent Communication: A Language of Life, in 2006, right before I got licensed as a Marriage and Family Therapist, because a friend recommended it. Reading that book inspired me deeply, and ever since reading it I have been learning, practicing, studying, and now sharing NVC. The clarity of Rosenberg's teachings, the way NVC is built on principles that see the best in human beings, and the way it has helped me understand myself and others from a compassionate perspective are some of the reasons I am so passionate about it. NVC gives me hope that human beings have what it takes to relate to one another without resorting to violence, and this passion for nonviolence is something that NVC has awoken in me. It's like that passion was always there, but NVC shone a light on it. At this point, 9 years into my study of NVC, I still find nothing more interesting or exciting than this work. It is at once simple and profound, and because it is focused on how I relate to myself and others, I find it endlessly fascinating. My passion now is in sharing it with other therapists, because I find that many therapists don't know about NVC or don't understand the depth of what is has to offer. I think many people think of it as just another communication tool, but it is so much more than that. Can you give an example of how NVC is put into practice with a client? I use NVC constantly with my clients, in various ways. Primarily, it is my theoretical orientation, in that my understanding of human behavior is that we do what we do and say what we say because we are always attempting to meet universal human needs. People I work with are often very critical of themselves, so one way I use NVC is to help people identify the needs of both the inner critic (the part of them that is self-critical) and the needs of the part of them being criticized. For example, let's take a hypothetical client named Mary. Mary has a habit of eating sweets late at night when she gets home from work. In therapy, she often berates herself for this behavior, judging herself as weak and lacking in self-discipline. As her therapist, I would help her separate out two different parts of herself: the part that is choosing to eat the sweets late at night, and the part of her that criticizes her for making that choice. Since a core principle in NVC is that all actions are attempts to meet needs, and another core principle is that everybody's needs matter, I would help her understand the needs (and feelings) of both parts of Mary. In my office, I invite people to give each part a different chair, so when Mary is in one seat she will speak as the critical part, and I will listen for this part's feelings and needs. Once that part feels heard, I will ask her to move to a different seat to speak as the part that chose to eat the sweets late at night, and I will listen for that part's feelings and needs. Then, like in mediation between two different people, I facilitate a dialogue between the two parts of Mary, asking each part to listen to the other part and reflect back what's important to that part, until both parts feel heard by each other. Once the parts both feel heard and understood, they are more connected, and are then in a position to work together on behalf of Mary, as opposed to being at war with one another. 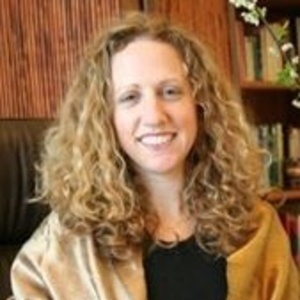 This is a process called Self-Integration, developed by an NVC trainer named Inbal Kashtan. It is a process I find to be extremely powerful and effective for facilitating inner peace. A big part of what I do with clients is help them identify their feelings and needs, and support them in finding strategies to meet their needs. I find NVC to be an approach to working with people that fosters awareness, compassion, choice, and empowerment. Ali Miller, MFT, is an excellent example of how a career in psychology can ignite passion within the therapist to specialize in a way which inspires themselves as well as their clients. If you are destined to become a therapist, counselor, social worker or psychologist, begin today by visiting the career path articles on careersinpsychology.org. Get your passion on! How Much Do MFT’s Really Make? What Is Psychotherapy and How Exactly Does It Help?